Made by hand these rings can be made to order in any size and with other stones. Great as engagement and wedding rings for someone wanting something a bit different. 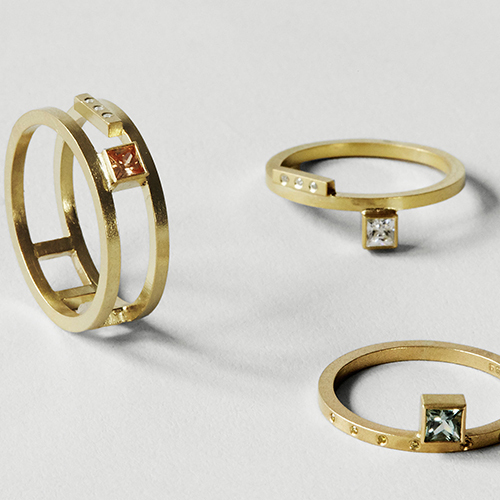 Delicate and minimalistic in their look, the Lines of Latitude rings can be stacked together or worn on their own.